Sega is releasing new secret phrases from the latest ARKS Promotion Squad broadcast. 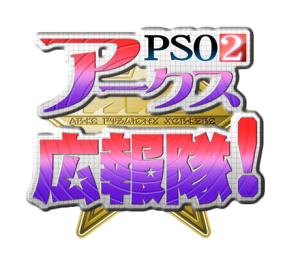 Enter the phrases through PSO2’s in-game chat to receive the rewards right away at the Visiphone. (1) Speak the phrase ぷゆゆん to receive a lobby action from Airi Shimizu. (2) Speak the phrase きんようゆい to receive voices from Yui Hasegawa. (3) Speak the phrase ゆあたそおし to receive a lobby action from Yua Saito. (4) Speak the phrase ぷるぷるしてるよ to receive a lobby action from Airi Shimizu. (5) Speak the phrase はいさようなら to receive voices from Yui Hasegawa. (6) Speak the phrase ゆあきょん to receive a lobby action from Yua Saito. How do put that in chat since copy & paste don’t work lol. what’s the /la command for this? I wonder if there’s an original video for that LA. so , i just copy and paste this “ぷゆゆん” on the chat box ? May I point out it’s literally faster to try that out in-game than post that question here, nevermind now wait for an answer. Location does not matter, and you always need to retrieve campaign rewards from the Visi anyway. I pasted the word ぷゆゆん in to chat normal chat and party was wondering why noting was happening then the shop counter thing had a red (?) item lobby action 223 was in campaign rewards. There is a new secret phrase lobby action, Not sure if it is from this but yeah.